One of the best things in the world is pulling out my Christmas Books each year -- and I'd love to share my favorites with you. I'm hoping you'll find a favorite or two for your own collection, or maybe a great gift idea. My ten favorites are a mix of vintage and modern books, and they all have wonderful illustrations. This is the book I'm most excited to pull out of the box every year. It's an amazing pop-up book with neon pink and too much purple and orange; the design is pure late 1960's with patterns galore. None of the tabs work now, but who cares? It's awesome. I found a copy that actually works here. I was so excited when I found the reprint of his book in Barnes & Noble! It was my all-time favorite Christmas book as a child, and all of the scratch-and-sniff stickers in our old book had been worn down to the faintest paper smell. The peppermint stick! The pine tree! The hot cocoa! It's all about the scents, but the illustrations are heartwarming and simply lovely, too. A magical book for children. I’ve written about my obsession with Leonard Weisgard’s illustrations before, and this book is the definitive Christmas Eve read for me. The boxy houses slay me. 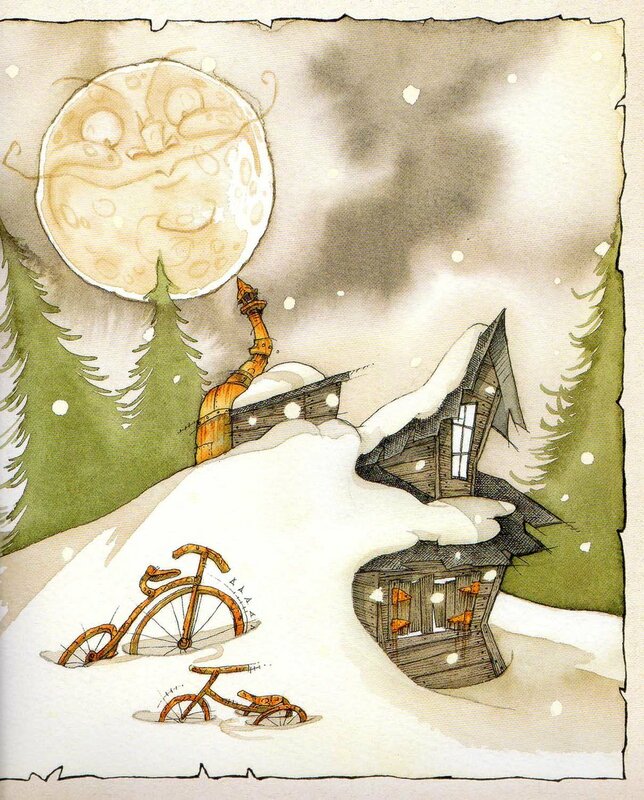 His pictures are moody, whimsical, and hopeful... all the things Christmas was to me when I was little. I've found a nice one here. I found this treasure at a thrift store… and although we didn't own this when I was little, I knew the story — from school, or a friend’s house? Wealthy Mr Willowby buys a very tall tree, which must be trimmed to fit in his parlor, and then the trimmed bit is trimmed down further by a bear... and then by a fox.. and a rabbit.. and a mouse... so that they each end up with the "perfect" tree for Christmas. Oh my goodness! This book is so sweet!!! Best friends Toot and Puddle write back and forth while Toot travels through Scotland and Puddle is home making things cozy. Will Toot make it back through the snow storm on Christmas Eve? Will a man driving a sleigh have something to do with it? Gorgeous watercolor illustrations are perfection. The end of the story is darling. I found this book shoved in the back of a thrift store in Santa Barbara. I paid quickly before they realized the paltry price they'd charged, and I left immediately, chuckling to myself. 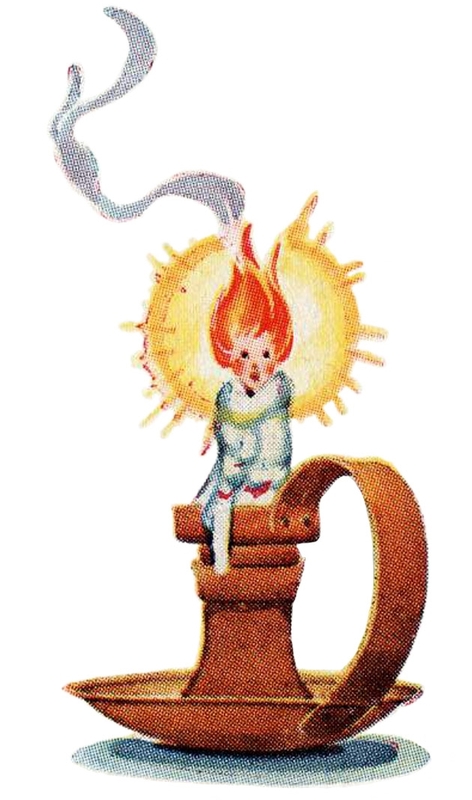 The watercolor illustrations are expressive and totally unique. This is a popular story, gorgeously reimagined. Found here. There are 2 versions of this pull-the-tab/pop-up book: large, and pocket-sized; and it is the “mini” edition that originally won the heart of both my kids. Each page has so much to do: tiny greeting cards to open, shelves of little presents to investigate, blankets to tuck, and goodies to pull out of stockings. Littlest readers are probably best with the more-forgiving larger version. The tiny one is great in a stocking. The storytelling is simple and colorful. I have been a fan of Quentin Blake’s work since I was a little kid reading Cricket Magazine in the late 1970’s. This book is BRILLIANT! Very, very funny. I’ve given out several of these as presents and they are always loved. I don't want to give away too much, so I won't. Just buy it. This is a clever and slightly gruesome (and very funny) take on Christmas that neither of my kids have particularly connected with, but that's okay. The ink and watercolor illustrations in this book are AMAZING. I consider this "Mommy's book". I adore Edward Gorey’s work — his Gashlycrumb Tinies is one of my all-time favorite books ever — and reading this book gives me a terrible -- and terrific-- case of the giggles. Best read in early January, when the red & green decor is starting to get to you.